The Zone Diet is one of many well-known diets today that have stood the test of time. Created by Barry Sears in the 1990s, this diet has become extremely popular, particularly amongst celebrities who have tried it and loved it. Continue reading to learn a bit more about this diet and what it entails, as well as a few of the many celebs who have sworn by its effects. Based upon the theory that hormones, including insulin, could trigger unwanted inflammation throughout the body, and that the inflammation could then lead to unwanted weight gain, The Zone Diet focuses on creating a balance that will prevent the inflammation in the first place. When dieters are able to establish and maintain this important balance, they can begin losing weight and keeping it off. Put simply, The Zone Diet recommends achieving he right ratio of fat, protein, and carbs at each meal. 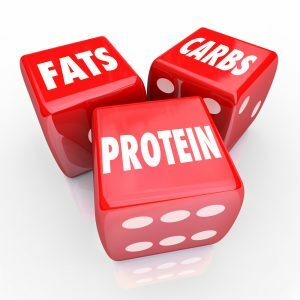 You should aim to get 30% protein, 40% carbs, and 30% fat for optimal results. You can, for example, separate a plate into three equal sections. Fill one section with a low-fat source of protein that is not thicker or bigger than the palm of your hand. Fill another section with fruit and another with vegetables. Add some nuts, avocados, and olive oil to consume additional healthy fats. On top of that, this diet is quite restrictive in terms of how many calories you can consume every day. It recommends that women get around 1,200 calories, while men can get around 1,500 calories per day. When followed correctly, experts claim that you can use The Zone Diet to lose around 5 lbs. in the first couple of weeks. From that point on, you can expect to lose up to 1½ lbs. each week. One of the most important reasons why The Zone Diet has been able to stand the test of time is because of the many beloved Hollywood celebrities who have given it a try and loved the results of their efforts. These celebs include Brad Pitt, Jennifer Aniston, Demi Moore, Sarah Jessica Parker, Sandra Bullock, and Madonna. If you are thinking about trying a diet that will help you balance your body in positive ways so that you can lose weight with greater ease, The Zone Diet could be just what you have been waiting for. If it can work for so many celebrities who need to have the perfect body when they are on screen, it can certainly work for you if you follow it correctly and with dedication.